Thrilling Diamond & Ruby-colour Art Deco Cluster Ring [SH10144] - £1,350.00 : loveVintageDiamonds.com, Your Vintage Diamond Dreams Come True! 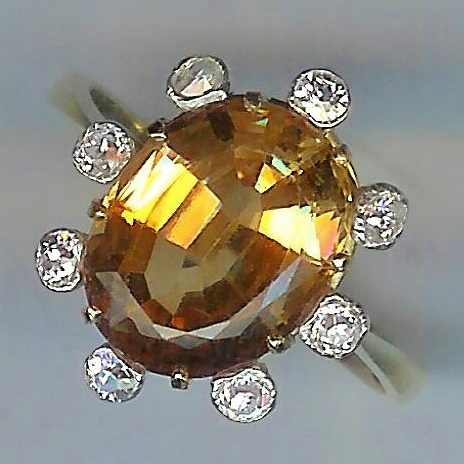 Thrilling Art Deco Cluster Ring. Beautiful period piece, c.1915. 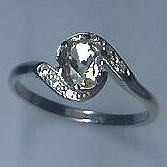 Oval shaped crown has three main diamonds, in vertical line, all rose-cut, combined weight approx. 0.45cts. There are twenty further mine-cut diamonds set within frame, adding approx. 0.20cts. Total diamond weight c.0.65cts. Crown is further enhanced with a very pretty pierced-pattern under-bezel. 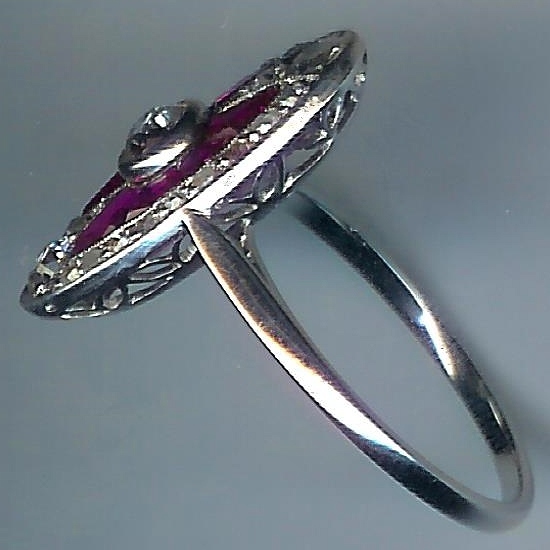 There are eight tapered baguette-cut ruby-coloured (untested but original) stones. The shank is simplistic and plain. Both crown and shank are white. Unmarked, the ring tests as platinum throughout. 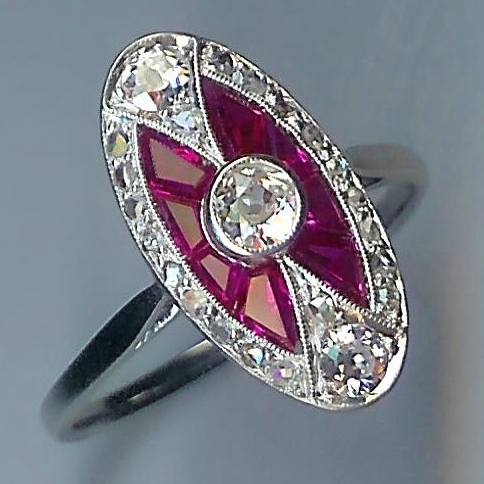 This is a superb and highly desirable Art Deco gem.